Have you recently been ticketed for a traffic violation in Columbus, Ohio? Traffic ticket fines aren’t the same throughout the state of Ohio. In Ohio, the Bureau of Motor Vehicles (BMV) doesn’t handle traffic tickets – the cities and counties where citations are written handle them. Fines for traffic violations vary from one city and county to another. You have three options for responding to a traffic ticket: you can pay for the ticket and plead guilty, pay for the ticket and plead no contest, or not pay for the ticket and plead not guilty. You can pay for your traffic ticket by mail or in person at the court listed on your citation. By paying the ticket, it means you are waiving your right to a trial in court. 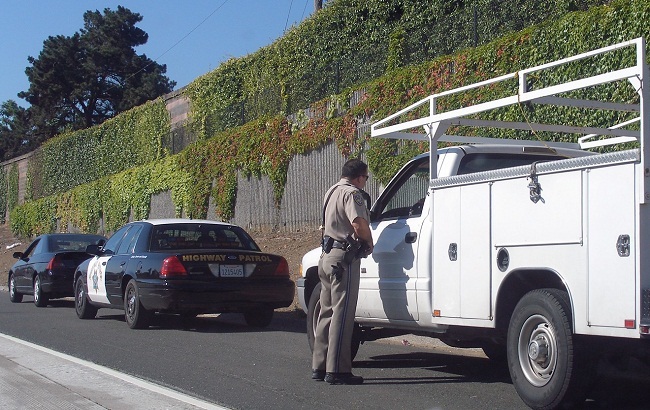 When paying your traffic ticket, you can plead guilty or no contest. A plea is your formal response to a traffic charge. If you plead guilty, you are essentially admitting that you committed the offense and accept the legal consequences. Pleading no contest means that you admit the facts but not your guilt. The benefits of pleading no contest include avoiding a trial and preventing your plea from being used against you in a civil proceeding in the future. Your other option is to plead not guilty and contest your traffic ticket through. If you choose to do this, you must notify the court listed on your traffic ticket of your intention to fight the traffic ticket in court. Some courts require you to do this in person. The court will then schedule a date for your trial. It’s best to hire a traffic ticket attorney in Columbus, Ohio to represent you. You’ll be up against an experienced prosecutor, so it’s important to be well prepared and to present a strong defense. An attorney can improve your chances of obtaining a favorable decision, which could include the outright dismissal of a charge or reduced charges. An attorney can help you prepare your case by obtaining your driving record, subpoenaing witnesses, etc. During a trial, a judge (or jury in some cases) will listen to both sides of the story in order to issue a verdict. If you’re found not guilty, you won’t have to face the fines and penalties for your traffic violation. Most people just pay their traffic ticket fines, assuming that contesting the ticket isn’t worth the trouble. However, a traffic ticket could cost you a lot more than just a fine. In addition to increasing your insurance premiums by up to 50%, traffic tickets can boost the number of points on your driving record which can ultimately lead to your driver’s license being suspended. A poor driving record can also hurt your employment opportunities, since some employers don’t look kindly upon applicants with a poor driving record. Looking for a speeding ticket lawyer in Columbus, Ohio? The Maher Law Firm has a speeding ticket attorney that can help you negotiate a lower fine, get charges dismissed, or get fewer or no points on your driving record. If your case has to go to trial, The Maher Law Firm can improve your chances of beating your traffic or speeding ticket. Call 614.205.2208 or contact us online for a free initial consultation.